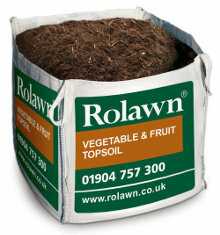 Rolawn vegetable fruit topsoil is a fertile, organic rich, friable topsoil. 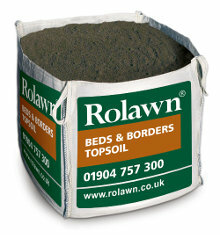 It is a blend of topsoil derived from prime arable land and organic matter, which ensures consistent results. It does not contain manures which can be variable and in some instances, potentially harmful. For certain crops such as tomatoes and courgettes, which require a higher nitrogen supply, levels should be supplemented by the grower.